It’s a great time to be an RPG fan, especially if you enjoy traditional JRPGs. With LeGrand Legacy, developer SemiSoft attempts to do what Tokyo Game Factory and Square Enix did with the likes of recent greats such as Octopath Traveler, I Am Setsuna, and Lost Sphere. SemiSoft even describes the game as “a love letter to the traditional JRPG.” But to be even more specific, LeGrand Legacy is more of a love letter to some of the more innovative RPGs of the PS1 era. It attempts to resurrect the creative nuances that were revelations when 3D JRPGS were still a relatively new adventure during the late 90s. While SemiSoft has some success here, there are definitely hurdles along the way too. Let’s begin with the positives, shall we? What SemiSoft has done with a rather low budget is remarkable in regards to appearance and score. The soundtrack is unique and fitting of the atmosphere portrayed by the game. It manages to add mood at times when the game’s mountains of text doesn’t quite cut it. 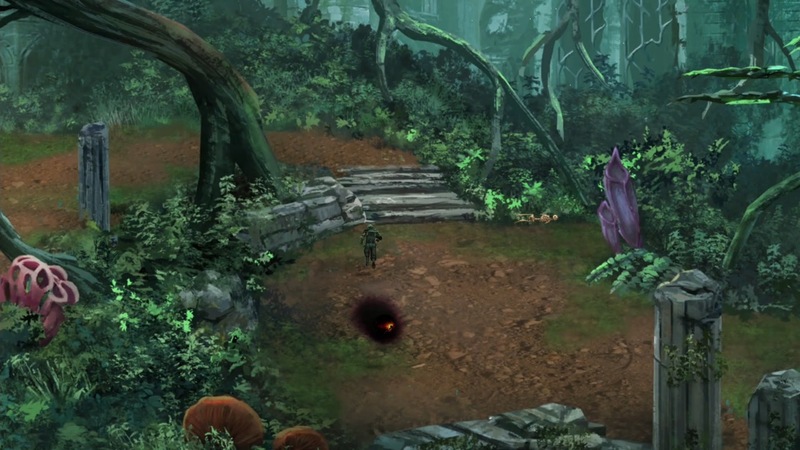 There is much within LeGrand Legacy that is engrossing to experience visually as the game features beautiful, hand-drawn locales and characters. And very similar to the Final Fantasy games of the PS1 era, the environments are completely static and, unfortunately, can’t be explored or interacted with. Your path can branch at times, but the game is very linear for the most part. More often than not, it’s very clear that you are just traveling from Point A to Point B. It’s a shame that such a gorgeous world offers no opportunity to explore it. LeGrand Legacy offers the occasional FMV cutscene as a reward for reaching new points of the story, and they are gorgeous but are usually extremely short and do not feature voice acting. In fact, there is no voice acting at any point within the game as conversations are entirely text-based. This is where LeGrand Legacy breaks itself for me. I chose to play with the Switch Pro Controller and ran into a myriad of issues. I didn’t think it was possible for controls to be TOO tight but Legrand Legacy manages to pull it off. The tight controls made it very tedious to avoid the occasional obstacles that main protagonist, Finn, faces as you control him through the environment. For example, early in the game you are tasked with traversing a desert that features small pools of quicksand that are tightly bunched together. Trying to avoid them takes real skill, and it doesn’t help when the slightest tilt of the analog stick sends Finn into a full sprint. I was constantly getting Finn stuck on static objects and having to course correct – not a major hindrance, but I couldn’t help but feel a bit frustrated by it. Battles are entirely turn-based and attempt to, once again, borrow from the greats of the PS1 era. Attacks and defense require random timed reactions in order to be completely successful. It’s very similar to the battle setup of a couple of my PS1 favorites, Legend of Dragoon and Legend of Legaia. What made the style of battle so great in those games was the ability to train yourself to become better at memorizing and timing the necessary button press sequences. LeGrand however, relies on a completely random action from the player, so you simply don’t get the opportunity to recognize a pattern and improve your response to it. The action wheel also feels very inconsistent. In the beginning, I thought I was just rusty and needed practice but I never really felt in control of where the cursor could be stopped. I’ve heard that this isn’t an issue with the Steam version of the game, which is very unfortunate news for Switch owners. Missing the correct spot on the wheel also creates a scenario in which you’re stuck trying to play catch-up for the rest of the battle. Defense also requires a timed action, and missing one forces a difficult attempt to reclaim rhythm. Needless to say I was forced to heal early, and often. LeGrand also attempts to incorporate some tactical preparation during battle. 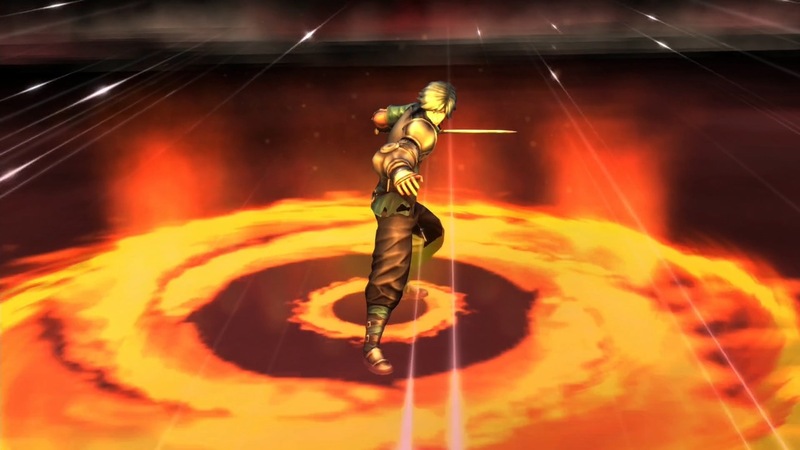 Ranged weapon users and mages can be positioned in the back of the line so that the stronger melee fighters can be positioned at the front in order to, in theory, take the brunt of the beatings. Unfortunately, the system is rather broken because my entire back line would face attacks just as often as the frontline. Magic users have considerably less HP, so this becomes very frustrating quickly. Quite frankly, I don’t see the purpose in even including the feature if it doesn’t work properly. LeGrand Legacy features a very convenient and user friendly inventory system, something I find refreshing amongst the RPGs of today. Each character is allotted a specific number of items. Saving is also convenient…at least it is supposed to be. There are plenty of save points throughout LeGrand that also restore your party’s status. The game also auto-saves very often and that is when I ran into an extremely infuriating bug. Many times after auto-saving, the game would inexplicably forget to display the action menu during the first battle post auto-save. My party would be there, the enemy would be there, but there would be no menu to use to engage said enemy. Semisoft recently released a statement saying that players should manually save as often as possible to avoid this bug, but the team also promised to have this problem resolved via a patch before release. I hope this holds true because this bug was truly a hindrance. This is yet another issue that has not arisen with the Steam version of the game. Sensing a pattern? A silver lining. Although generic, there is something to appreciate about this particular story of an amnesiac protagonist that joins together with a crew bound by fate to save a torn world. It’s even alluded to in the title of the game. It’s truly a “tale of the Fatebounds.” The world of LeGrand is deep with lore and there are some very interesting reasons as to why this world has been thrown into chaos. Sadly, most of these details aren’t told within the main adventure of the game. To get a true grasp on the depth of the world, you are required to scroll through endless walls of text while interacting with various NPCs. In a game that is already way too heavy with text, this is a real bummer. The potential for a deep and engrossing story is tantalizingly dangled and leaves me with hope that Semisoft may revisit this world or, at the very least, find better ways for the player to experience the awesome stories that I know they are capable of telling in future games. There is so much about this game that left me feeling that it was close to being the love letter to old school RPGs that it aspired to be. However, it manages to come up just short with its best features while going way overboard with its worst. 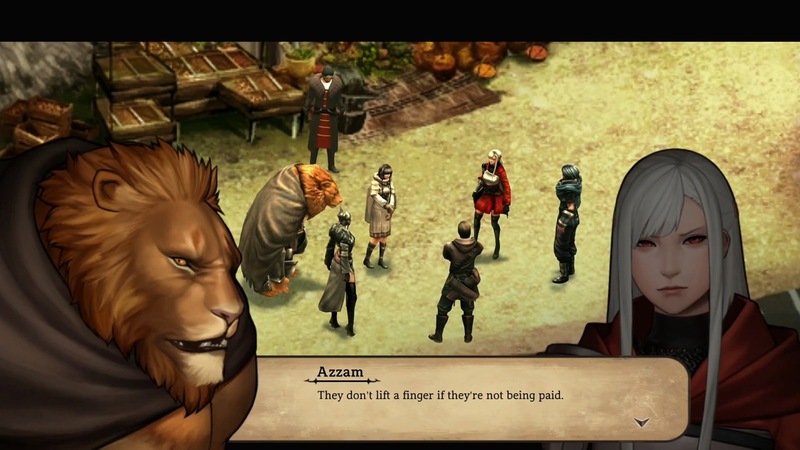 LeGrand Legacy will provide you with about 30 or so hours of gameplay, but you can stretch it out to 40 if you care to comb through limitless walls of text to find the deepest details of the history of LeGrand. There is a respectable amount of content here that will only cost you about $20 USD, but unfortunately, I simply can’t recommend the Switch version at this time. I simply ran into way too many gameplay issues that really diluted my optimism for the story that was developing during my play through. 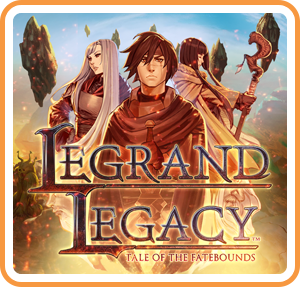 If you enjoyed games like The Legend of Dragoon and Legend of Legaia, it may be worth it you to try the Steam version of LeGrand Legacy instead. Sadly, I have to recommend that you avoid this Switch version entirely. That being said, Semisoft are clearly skilled developers that can learn from this outing in order to improve their next project, and do I look forward to seeing what they deliver next time. 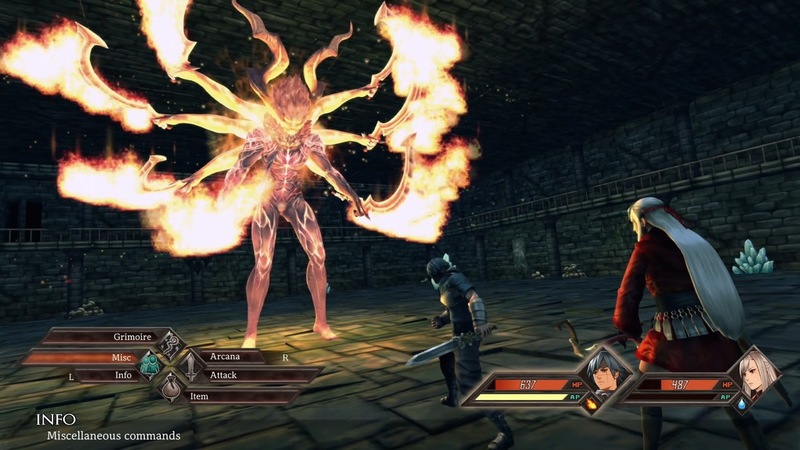 Thanks for reading my review of LeGrand Legacy and thanks for visiting SwitchRPG! Check out our social media accounts and YouTube channel for more content! Was really looking forward to this one. Since apparently the Steam version is better, I hope there’s some way they can patch some fixes/changes into the Switch one and then I might try it. But for now, I’ll take your advice and avoid it. So much potential. Just didn’t quite come through. There is talent on that team though, no doubt.